50, 60, 70 lbs. 25.5" - 30" 6"
How To Choose Arrows 350 FPS 75% 32" / 4 lbs. 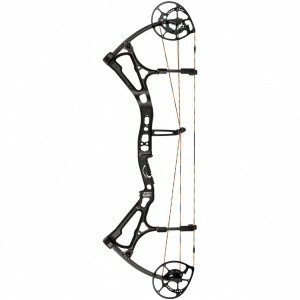 Welcome to our Bear Archery Motive 6 review. This is the finest compound bow from the Bear Archery line of equipment that I’ve ever shot. It’s right out there with the best of the best such as PSE and Matthews. An exceptionally powerful bow that is still smooth to draw. It has a relatively short brace height with a somewhat narrow valley, so I wouldn’t recommend it for rank beginners unless you’re really adventuress. The bow delivers in every way possible and it’s worth every penny spent. As always, I ordered my Motive 6 online. The package unfortunately includes only the bow (riser + limbs + cables + string + cams + string suppressors) and a loop nock. You’ll need to purchase a whisker biscuit and any other accessories (bow sight, stabilizer, etc.) separately. A manual and warranty card were included as well of course. The cams, limbs, cables and string are all assembled. My Motive 6 came set to 28″ draw length and 70 draw weight; the latter depends of course on your purchase, as the bow is available in 50, 60 and 70 lbs. draw weight versions. Bear Archery compound bows usually come equipped with single cam systems, but the Motive 6 is an exception. It features the new H13 hybrid cams, which are synchronized and provide for perfectly straight arrow nock travel during the string release phase. The Bear Contra-Band cables run through a 4×4 roller guard, which reduces torque and cam lean to where they are almost unnoticeable. Draw length can be set to anywhere between 25.5″ and 30″, with 0.5″ available increments. Brace height is set to 6″ so I likely would not recommend the Motive 6 to complete beginners with zero experience shooting a compound bow, as it can make the process of learning proper form a little more difficult, though definitely not impossible. No bow press or external modules are required to adjust draw length, and the printed manual provided with the package does a great job at explaining how to modify and tune the bow and eccentric system. So if you get a 60. lbs version of the bow, and/or set it to a draw length of less than 30″, and/or shoot an arrow heavier than 350 grain, you will achieve slower speeds. Consult our guide on firuging out your bow’s true speed to know what to expect. At maximum IBO settings (70 draw weight, 30″ draw length and 350 grain arrow), your projectile will deliver around a shattering 93 ft-lbs of KE at point blank range. Using the same bow settings but a 425 grain arrow instead, expect around 97 ft-lbs of KE at point blank range, though obviously with a somewhat lower FPS and hence less-straight arrow flight (as is the case with any bow in the world). If using the 60 lbs. draw weight version and say 28″ draw length, a 425 grain arrow will deliver roughly 73 ft-lbs of KE at point blank range, which is still super powerful. Note: the numbers above can vary slightly depending on shooting technique, the type of accessories installed on the string, and the length of your arrows. Also, the kinetic energy of your arrows will deteriorate at a rate of roughly 2 ft-lbs for every 10 yards of distance covered by the projectile. Despite the sheer power the Motive 6 delivers, I found the draw cycle to be VERY smooth. The cams are somewhat aggressive and the ramp up to peak draw weight happens fairly fast, but this is to be expected of any compound bow achieving such speeds. The valley is relatively narrow as well, which can be traced back to cam geometry. The wall however is very stable and very easy to hold. Overall it’s very smooth to draw and hold, though rank beginners could find it a little difficult to handle. There is no stacking that I could feel, and I’m sure the 4×4 roller guard contributes to the overal smoothness of the draw here. Once held against the wall, the Motive 6 was very well-balanced and remained firmly in my hand even when moving the fingers on my bow hand around. Very easy to aim for as long as you need to without having to wrestle with the bow. I’d like to devote a section to vibration and noise dampening in this Motive 6 review. The bow comes with two string suppressors built-into the riser. Each suppressor has a set of rubber boots that absorb vibration from the string once the arrow clears the bow. The location of the suppressors is slightly adjustable, allowing you to tune it to your individual shooting style. The use of Bear’s Zero Tolerance Limb Pockets also contributes towards reducing vibration as it absorbs most of the residual energy in the limbs. Overall this is a very quiet bow, and the only thing you’ll hear is the sound of the string hitting the suppressors once, followed immediately by the sound of the arrow hitting your target. Vibration is practically non-existant, and so is hand-shock. The Motive 6 is really a great pleasure to shoot. Even the 60 lbs. draw weight version of the bow, with 28″ draw length and using 425 grain arrows is powerful enough to take down the biggest and meanest game on our planet. If hunting is your thing and you have some compound shooting experienced, the Motive 6 was designed for you. The Motive 6 is a high-end compound bow. It’s definitely not cheap, but neither are any other quality bows that deliver such high speeds, accuracy, and low-vibration performance, topped off with a smooth draw cycle. I’d definitely think this bow is worth the price tag that comes with it, though if you are a beginner then you are better off getting one of the other great compound bows. This compound bow comes with split Pre-Load Quad Limbs, which help reduce stacking during the draw cycle. The limbs are attached to the riser using Zero-Tolerance Limb Pockets, designed by Bear to safely secure the limbs in place while also absorbing most of the residual energy released during the shot and hence minimizing vibration. The grip on the Motive 6 is customizable, allowing you to slightly rotate and re-position it to fit your palm and shooting style. It’s made of thick rubber and holds on to temperature very well, so your bow hand will be well-protected when shooting during the winter or a cold night. 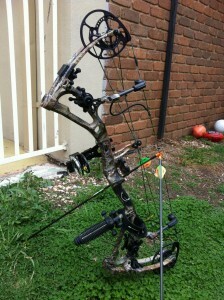 The riser is one of the most beautiful ones I’ve ever seen on a compound bow. Made obviously of aluminum, it has been apparently forged (as opposed to simply machined). Has a mean feel to it that can’t be challenged by many. The riser includes stabilizer bushing from stainless steel. Due to the raw power the Motive 6 delivers and it’s compact size and design, it’s a perfect compound bow for hunting. (Refer to previous sections within this review to figure out the bow’s kinetic energy and hunting feasibility.) It’s of course perfectly suitable for target practice nad 3D shooting as well, though it’s relatively short length might not be desirable to taller archers interested in target shooting. 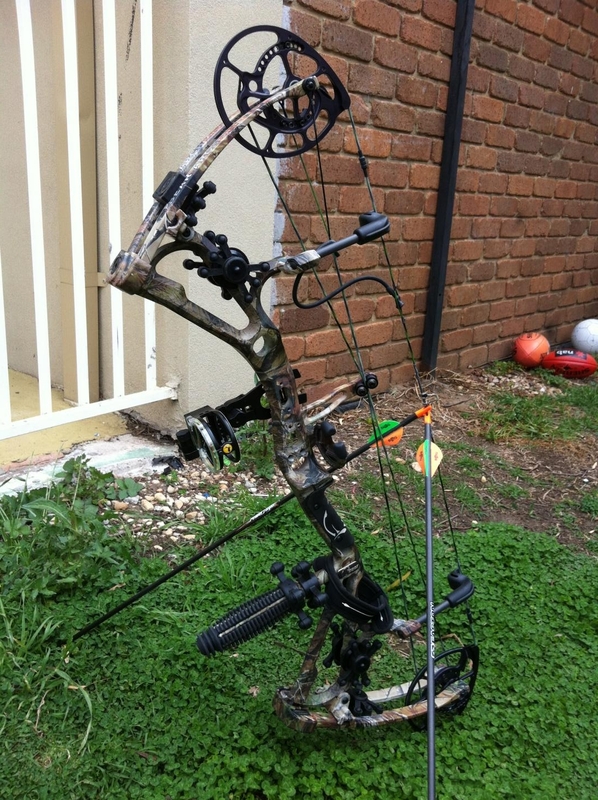 Thanks for giving our Bear Archery Motive 6 review a read. This is without a doubt the best hunting compound bow in Bear’s line of products, and certainly one of the best bows on the market in 2013. There’s only a handful of other bows that can deliver such high speeds while still having such a dependable draw cycle. If you enjoy hunting and are comfortable handling the relative aggressiveness of the cams, the 6″ brace height and the somewhat narrow valley, the Motive 6 is well worth your money. 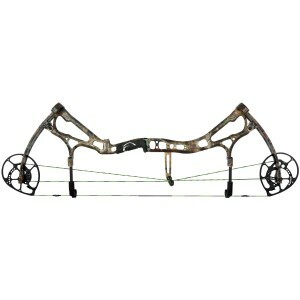 See Cabela's current price and customer reviews on the on the Motive 6 compound bow if you’re thinking of buying it.